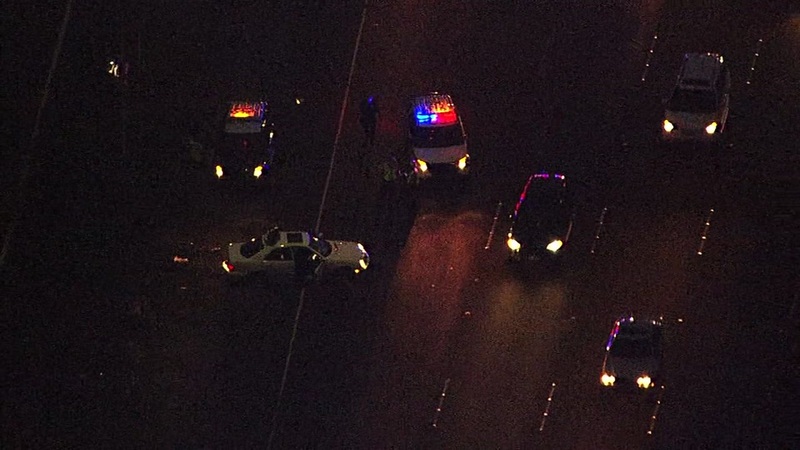 VALLEJO, Calif. -- All lanes of eastbound Interstate Highway 80 have reopened in Vallejo tonight after a shooting that stopped traffic for more than two hours, according to the California Highway Patrol. The shooting occurred just east of American Canyon Road around 5 p.m. and a Sig-alert was issued at 5:06 p.m.
A man in his 20s was headed east in a white Mercedes-Benz when he was shot in the torso. His injuries are not currently thought to be life-threatening, according to CHP Officer David Harvey. No suspect information is currently available. The Solano County Sheriff's Office reported on Twitter around 8:45 p.m. that all lanes of the highway were open and the scene had been cleared.